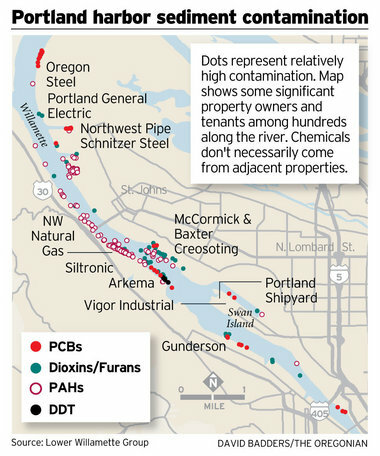 PORTLAND, Ore. -- The U.S. Environmental Protection Agency has fined property owners at Portland Harbor $125,500, saying they downplayed health risks from a century of industrial pollution. The Oregonian reports the agency and the owners have been debating for four years the health risks of eating fish and shellfish from the Willamette River. The agency has approved a risk assessment but levied the fine for the group's work on a draft version. The owners are the city and port of Portland and industrial and energy businesses. A spokeswoman said the penalty was surprising because the agency had said it would waive fines if cooperation improved. The agency acknowledged "good faith attempts," saying the fine could have been more than $1 million. Cleanup costs at the Superfund site could top $1 billion.